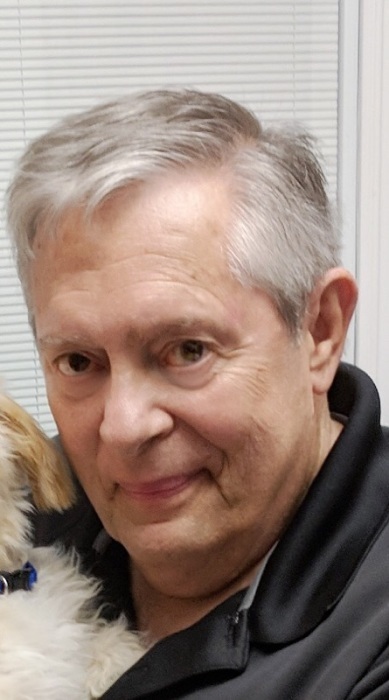 Obituary for David L. Engleman | Thomas E. Fickinger Funeral Home, Ltd.
David L. Engleman, 70, of Mesquite, NV, formerly of Milton, passed away Thursday, September 13, 2018 at Centennial Hills Hospital Medical Center, Las Vegas, NV. Dave was born October 20, 1947 in Danville, the son of the late Robert G. and Evelyn Jean Engleman. Dave was a graduate of the Milton High School and served his country in the Army during the Vietnam War. He worked in construction management. David was a devoted husband, father, brother, grandfather, and friend. He enjoyed photography. Dave is survived by his wife, Janice, three daughters, Lisa Marie (Bill Brennan) Morse of Coudersport; Jennifer L. (David) Eisenhuth of State College; Brea Hoffman of Colorado; two Step daughters, Hilary (Matthew) Sipple and Lindsay (Tim Fast) Jones, a brother, Robert E. (Louise) Engleman, grandchildren, Kayla (Jake) Berge of Lewisburg; Mariah Morse of Milton; Isaac Sipple, Austin Fast and Hayden Fast; step grandchildren, Jonathan Eisenhuth, Chloe Eisenhuth and Maggie Keiffer. Family and friends are invited by Lisa and Jennifer to celebrate Dave’s life for and a time of remembrance , Sunday October 28, 2018 from 2-4 p.m. at the Chillisquaque Presbyterian Church, 4545 Route 642, Potts Grove. Please stop by and share your favorite memory of their Dad. Local arrangements entrusted to the Thomas E. Fickinger Funeral Home, Coudersport.